To celebrate International Women's Day, AAWGT has a tradition of presenting a dynamic woman speaker during our March event. To continue with that trend, we are pleased to announce our 2019 speaker, Lesley Poole, Chief Executive Officer at The SEED Foundation in Washington, DC. The SEED network supports students from under-resourced communities to realize their potential and fulfill their dreams of college graduation through a unique, college-prep public boarding school model. Lesley will share a wealth of personal and professional experience about her own journey in finding her voice - and how this has translated into her work with youth. This promises to be an engaging and thought-provoking discussion about women and leadership! We hope you will join us. 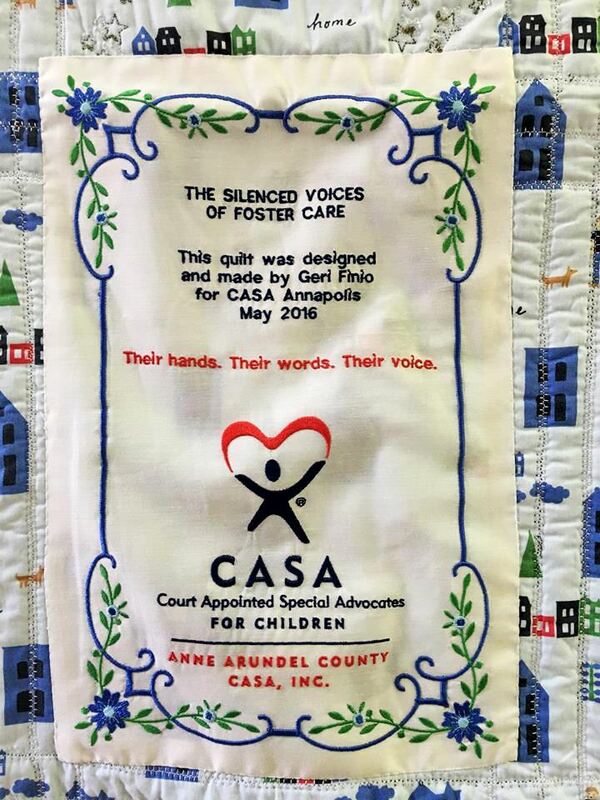 Established in 1997, Anne Arundel County CASA, Inc. (AACCASA) advocates for abused and neglected children involved in juvenile court proceedings to determine their placement. These children cannot speak for themselves. AACCASA achieves its mission through the dedicated work of volunteer Court Appointed Special Advocates (CASAs), who represent the children with the aim of ensuring their right to stable, permanent, and loving homes. Judges appointed 201 CASAs for 242 children in the last two years; this represents 71 percent of the children before the county courts. Of the 69 cases that were closed, children were placed in permanent, forever homes 95% of the time. The CASAs provided advocacy services that addressed the children’s overall needs (educational, psychological, medical, etc.) as well as court reports on behalf of the children. The judges indicate that the CASA volunteer reports contain thorough and unbiased information about the children, increasing the judges' opportunity to make well-informed decisions on behalf of the children. Judges note they would like a CASA assigned to every case. Since its inception, 568 CASAs have served over 700 children. AACCASA trained 80 new CASAs in the last two years. The 2018 grant from AAWGT will enable the program to serve 25 to 30 more children this year. 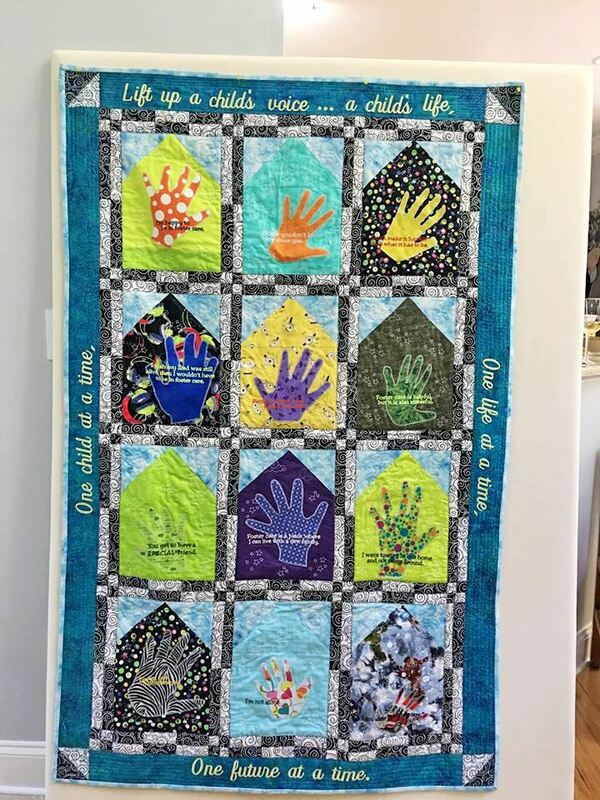 AACCASA commissioned local embroidery artist Geri Finio to create a quilt that would enable 12 foster youth to share their experiences in foster care. After more than 200 hours of work, 15+ yards of fabric, batting, and with skilled embroidery, Ms. Finio created the Silenced Voices of Foster Care Quilt©. For additional research and articles about women veterans, read this summary of the event. website. It’s impossible to open the paper without seeing evidence of our hyper-partisan environment: it’s in the headlines, the news articles and especially on the editorial page. This political polarization makes it difficult to have conversations except with those who we know share our political beliefs. But how will we ever bridge that gap if we don’t talk to one another? Philanthropy is one way to get past the partisan divide. We need to remind ourselves why we got involved in philanthropy in the first place: the belief in the capacity of people to do good and become better. We have an even better opportunity with AAWGT to rise above the partisanship and focus on the needs of our community. Yes, we use our collective dollars to do good. But by engaging with the organization itself, we can come together and work with women who may not share our political beliefs but do share the desire to help those who can get lost in the back and forth of the political football.